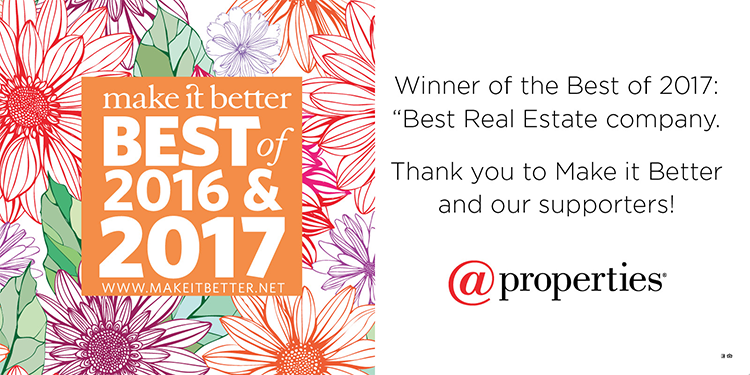 The votes have been tallied, and we are once again proud to share that @properties has been named a winner in Make It Better Magazine’s annual Best Of survey! This is the third year in a row that we have earned the title of Best Real Estate Company. From salons and spas to shops and restaurants, the Best of 2017 survey celebrates Chicagoland’s businesses and services, each year drawing thousands of votes from Make It Better readers and locals alike. 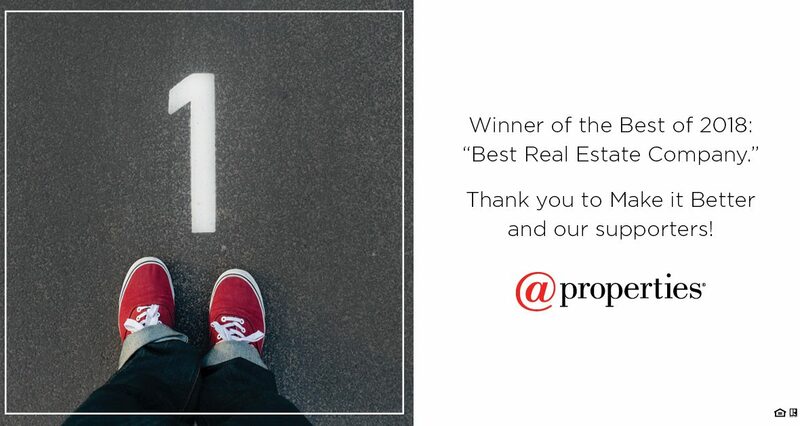 From all of us at @properties, thank you to Make It Better and to all of our supporters who voted! Be sure to check out the full Best of 2018 list here and in the July magazine. The results are in: @properties has made Crain’s Chicago Business’ Fast Fifty list for the sixth time — and we’re excited. The annual list recognizes the 50 fastest-growing companies in Chicago based on five-year revenue growth. This year, @properties made the Crain’s Fast Fifty list at No. 39 with five-year revenue growth of 283.8%. @properties has had a steady presence on the list since 2007, clocking in last year at No. 42. 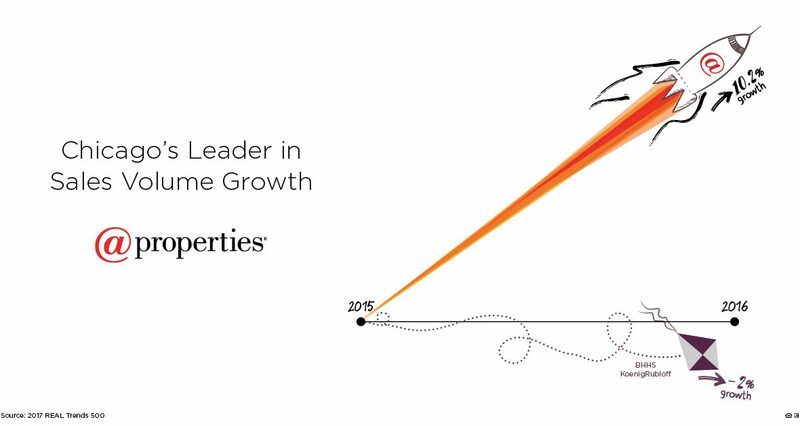 @properties continues to gain market share at the expense of its rivals, according to a new report from REAL Trends, the leading provider of sales data on residential brokerage firms in the U.S. The company posted a 10.2% increase in sales volume in 2016, the biggest increase among the Chicago area’s five largest brokerage firms. @properties also posted its highest annual sales volume in company history with nearly $8.1 billion in closed transactions. The data was published in the 2017 REAL Trends 500 Report, which ranks the nation’s largest real estate brokers. At @properties, we’re continually focused on improving our industry with innovative technology that enhances the real estate experience for brokers and clients alike. That’s why we are excited to announce that @properties won the award for Best Overall Website at the Leading Real Estate Companies of the World® Conference Week! @properties also won the award for Best Interactivity. CHICAGO, January 9, 2017 – Michael Golden and Thaddeus Wong, co-founders of Chicago-based real estate firm @properties, have been named to the 2017 Inman Influencers List. Inman, a national real estate information and media company, based in Emeryville, Calif., compiles the annual list to recognize real estate professionals who shape, change and influence the industry. @properties, the largest independent real estate brokerage firm in Illinois, has been awarded the 2016 Top Workplaces honor by the Chicago Tribune for the fourth year in a row. The company ranked No. 3 among large companies, which are defined as companies with over 1,000 employees. The Top Workplaces list is based solely on the results of an employee feedback survey administered by WorkplaceDynamics, LLC, a leading research firm that specializes in organizational health and workplace improvement. Several aspects of workplace culture were measured, including alignment, execution, and connection. When it comes to the competitive world of real estate, differentiation is one of the keys to success. Differentiation comes naturally to @properties, and it shows in many ways – not the least of which is our advertising and marketing. In fact, we’re proud to announce that @properties recently won two 2016 MarCom Awards for advertising including a platinum award for our “Rules For Better Living” print campaign and honorable mention for our “Love” outdoor advertising campaign. 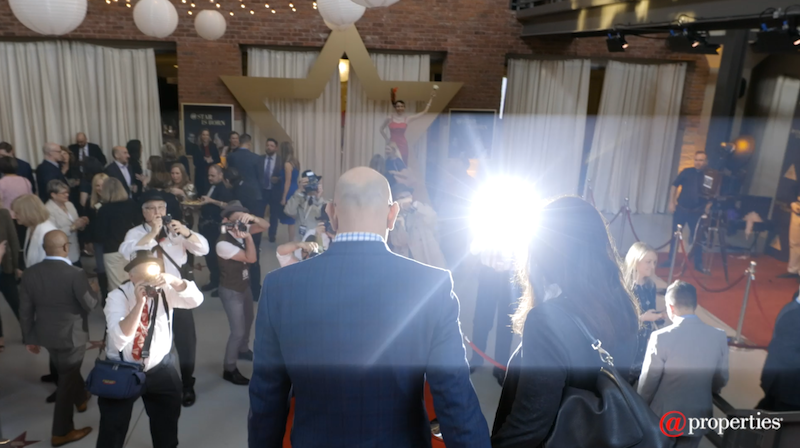 The MarCom Awards recognize outstanding achievement by creative professionals involved in the concept, direction, design and production of marketing and communication materials and programs. Winners are selected from print, web, video and strategic communications categories. @properties’ ads were among 6,000 entries worldwide. 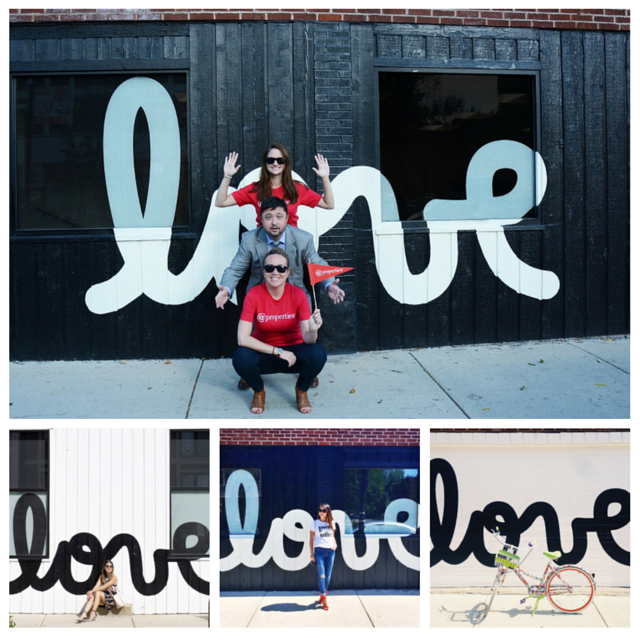 By now, most Chicagoans are also familiar with the “Love” campaign. Inspired by @properties’ love where you’re @ tagline, the project is a collaboration with Matthew Hoffman, a Chicago-based artist and designer whose public works have been exhibited internationally. 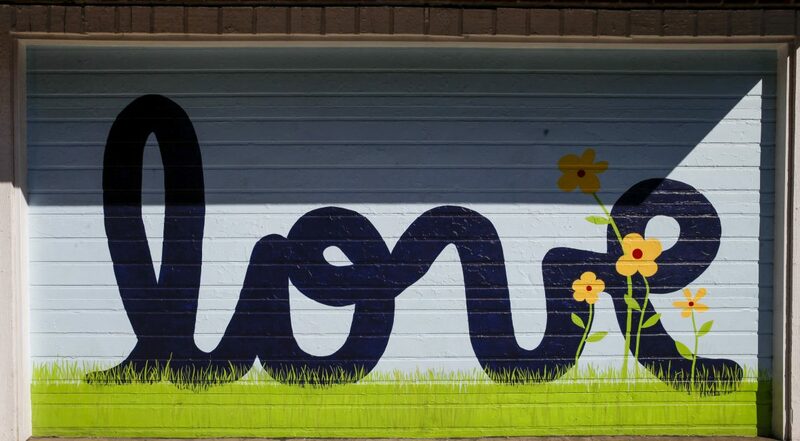 The campaign includes billboards and murals throughout the city with the word ‘love’ in Hoffman’s trademark lowercase script font. Both the “Rules For Better Living” and “Love” campaigns have taken on a life of their own, with people posting photos on social media using the hashtags #RulesForBetterLiving and #ShareTheLove. For more information on the MarCom Awards, click here. Earlier this month, @properties was the proud recipient of the Chicagoland Entrepreneurial Center’s 2016 Merrick Momentum Award. The prestigious award was presented by CEC and 1871 at the 9th Annual Momentum Awards Dinner, held at the Radisson Blu Aqua Hotel on Thursday, Oct. 6. 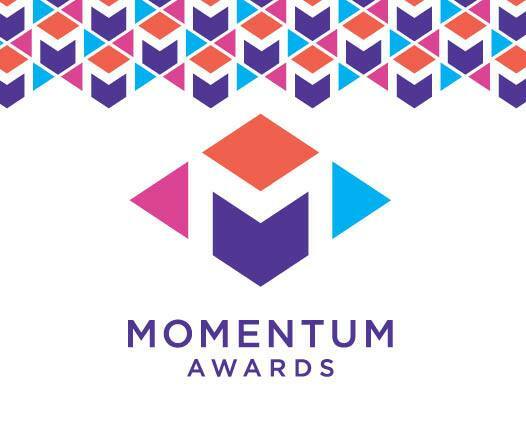 The Momentum Awards honor leading individuals and institutions that embody the unique and selfless spirit of entrepreneurship in Chicago. @properties was among seven finalists representing the city’s most innovative companies.